NOTE: Pattern is no longer available. 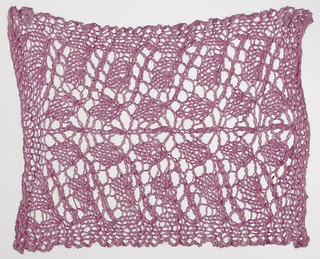 The Pyrifera scarf pattern uses just one skein of lace weight yarn! The name Pyrifera was inspired by a species of kelp which has the fastest linear growth of any organism on earth. 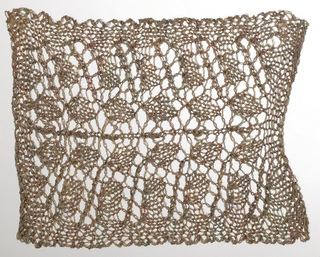 Like its namesake, the Pyrifera stitch pattern will fly off your needles. Each ten row repeat creates an inch of fabric. 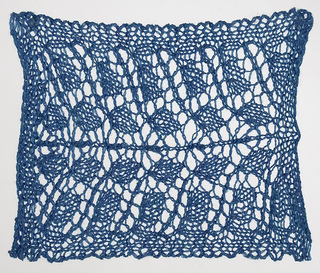 The lace patterning is only formed on right side rows, which will help to speed up your knitting. 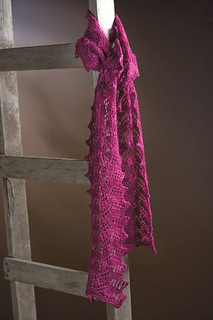 The Pyrifera scarf pattern is included with the Chinook shawl pattern.